One of the most uplifting things about being single after being not for a while is that all of your friends want to help you move or feed you wine and make sure that you’re safe. While it’s hard to imagine little lady friends moving dressers and mattresses during my recent twice weekly moving debacle, I leaned on some guy friends to help get my new home(s) in order. As thank yous, I’ve been cooking and mixing cocktails, which made my heart happy and their bellies full enough not to mind the volunteered manual labor and tool belts. The first meal I made was a slew of recipes from my favorite cookbook, Cravings, a la Chrissy Tiegan. Full of swear words and flavorful recipes, she is my spirit animal. 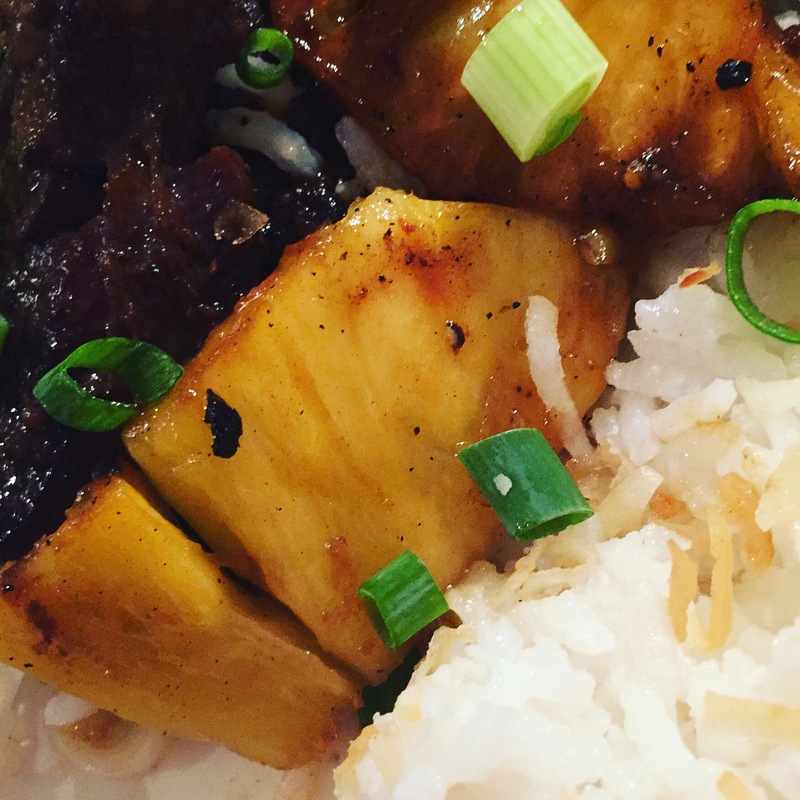 This meal I made her Korean Short Ribs, Sweet & Salty Coconut Rice, and Garlicky Broccoli. It was in your face flavor all around…. But that Sweet & Salty Coconut Rice just stole the show. It sounds weird, this coconut and rice, but really it was just the sweet/salty profile – it didn’t taste like coconut. This was a huge relief for my friend who apparently failed to mention he hates coconut. He was VERY skeptical, but ate a big plate. Then seconds. Then asked if he could take home leftover. Mmmmhmm. Just leave some for me! So we had a nice night chowing down. Wine was flowing so my already lame food photography skills were even worse than normal. The only decent photo was a close-up of the variety of textures. I posted it to Instagram basically, just because I’d spent all day making this nice meal. Voila. The next day, as I was casually catching up on my social media…beautiful Chrissy Tiegan’s face appeared eating a popsicle. On my very own Instagram account! While I’m sure she employs an abundance of interns for tasks like this, I’m convinced it was her. She and John Legend, just lounging in bed. She turns to him and says what a cool chick I must be to make ALL of her recipes and use the word “everythannng” in an Instagram caption. 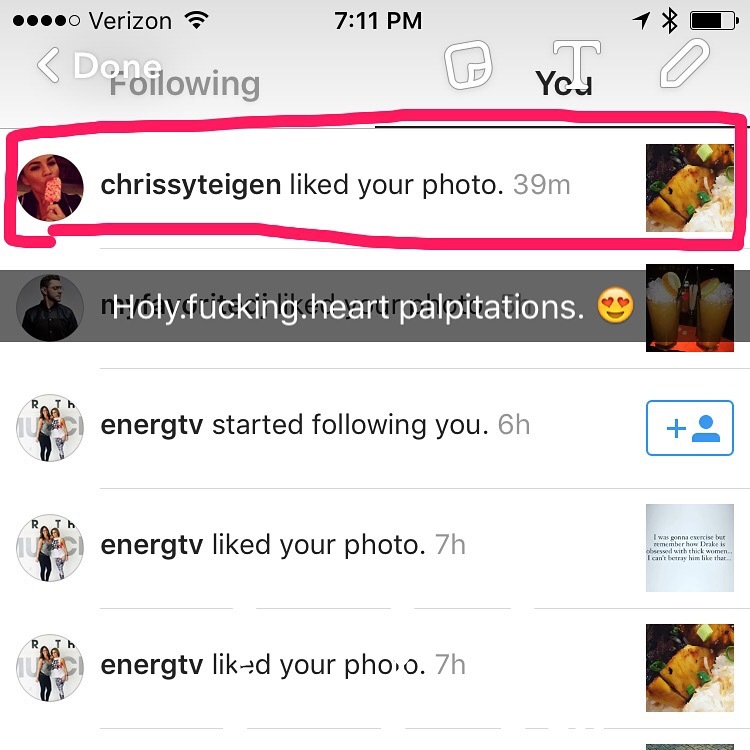 I love you too, Chrissy Tiegan. Anyway. Buy the book for yourself, but here is Sweet & Salty Coconut Rice. Toast coconut over medium low heat until brown. Do not allow to burn. Transfer to bowl so it does not continue cooking in the pan. In a saucepan, combine rice, coconut milk, coconut milk can full of water, sugar, & salt. Bring to a boil. Stir and reduce heat to a simmer. Cook until rice is done and moisture is absorbed, about 20 minutes. Stir well, as coconut milk may have settled on top. Remove from heat, fluff with fork, and top with shredded coconut. Previous Post Cacio e Pepe. Sort of.